Omikron: The Nomad Soul, known only as The Nomad Soul in Europe, is an adventure game for the Sega Dreamcast. David Bowie had an input into the game's storyline and design, as well as part of the soundtrack. He also makes two cameo appearances in this game, and his wife Iman also appears. 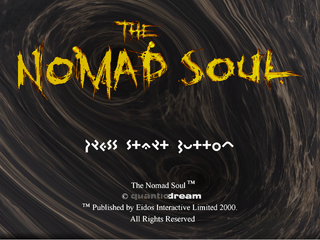 Main article: Omikron: The Nomad Soul/Magazine articles.